This work arose from thinking over the sacred nature and frailty of the emotional bonds. 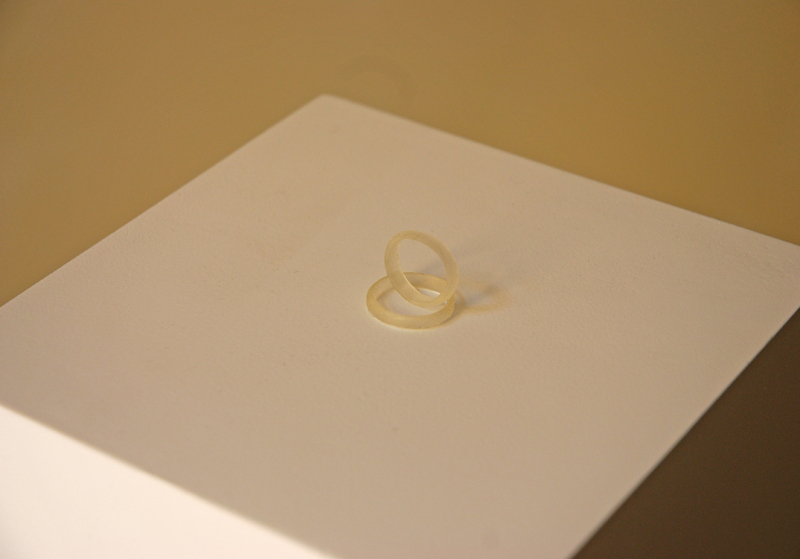 I carved two wedding rings of transparent soap. 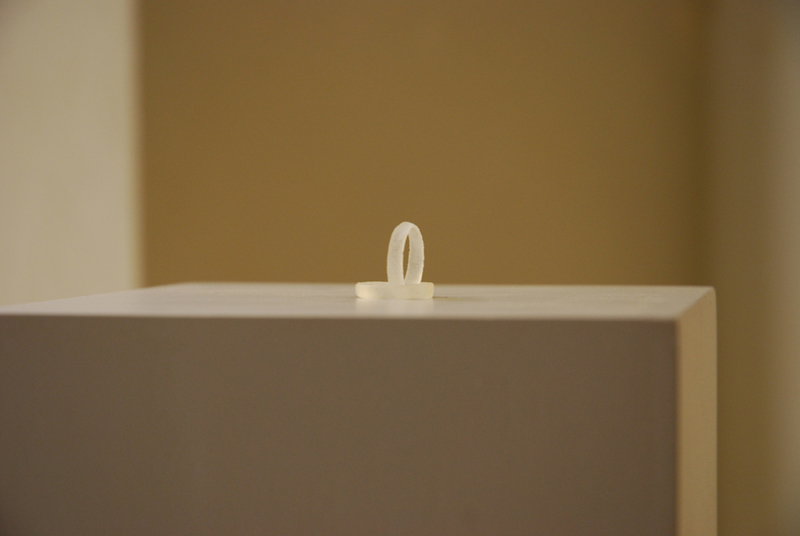 The little sculptures are wearable, but, unlike the real jewels, they are frail and ephemeral. The purity of their shape occurs with a paradoxical fragility.